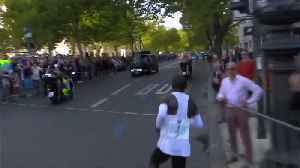 ▶ Videos for "Berlin Marathon"
According to Deadspin.com, Eliud Kipchoge has won the Berlin Marathon with a new world record time. 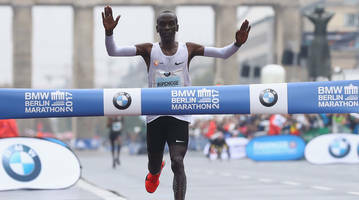 Kipchoge ran the marathon in 2:01:39 which is 78 seconds faster than Dennis Kimetto’s previous..
Kenyan Olympic champion Eliud Kipchoge smashed the marathon world record on Sunday, shaving 78 seconds off the previous best with a dazzling run in Berlin. David Doyle reports. 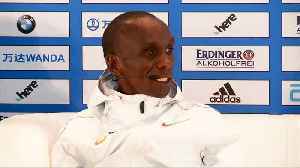 Will Eliud Kipchoge finally run the world record in the marathon? 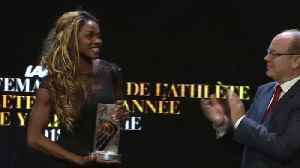 Winner of the 2018 Palm Springs International Film Festival for Best Documentary Feature and 2017 LA Film Festival Audience Award will screen at Regal LA Live Stadium 14 on March 16, 2018. 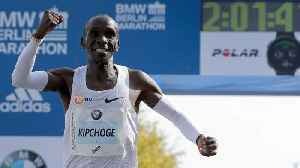 LOS..
BERLIN (AP) Olympic champion Eliud Kipchoge held off the challenge of debutant Guye Adola to win the Berlin Marathon on Sunday. 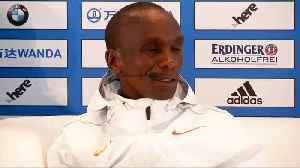 Sporting: Are Physical Limits All in Our Heads? 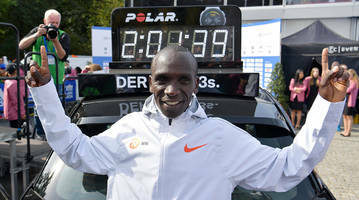 The Berlin marathon will test the primacy of mind over body in sports.